Intercede for those in need.. Some time ago, I heard a man of God talk about generational curses. I didn’t think a whole lot about it at the time, but it’s a topic that warrants some brain time. Think about some of the issues that have happened to various members of your family or friends. Some have been in prison, hooked on drugs, been abusive, been abused, cannot hold a job, get into and pursue, unhealthy relationships, continue attracting the wrong persons….the list goes on. Isn’t there something we can do about this? ABSOLUTELY. It’s called intercede! The power of intercessory prayer is so important. The Bible is full of examples where people interceded on the behalf of others.For example, Abraham interceded on behalf of Sodom (Genesis 18:20-33), Moses for Israel (Exodus 32:11-13), and even Jesus for us! (John 17:6-26). When we pray in faith, believing that God will move the mountain, loose the bands of wickedness, set the captive free, heal the sick, deliver that sister, save that cousin, send emotional healing to a friend, send a financial blessings to the needy, stop that woman from settling, make a man act responsibly, reconcile relationships, bless someone to be saved, stop an accident, strengthen a saint——there are so many strongholds that can be BROKEN when we intercede in the mighty name of Jesus! How many times have YOU been on the receiving end of someone praying on your behalf? As I think about a particular stronghold in my B.C. (before Christ) days, I KNOW someone prayed for that thing to be broken in my life. One day the stronghold was there…the next day it wasn’t! Look at God! I got to thinking about some of the issues I’ve seen in my own family and how we attribute it to being lazy, unlearned, youthful foolishness or say–“hey, his mother did it, so…” “or..that runs in the family”. While the aformentioned may be true statements, isn’t it about time, people of God, that these things STOP running in our family? Is the power of the blood of Jesus strong enough to overcome any and all plans of the enemy and his minions? Then let’s stop sitting passively and get into prayer action mode. Find a fellow believer to touch and agree with in faith! 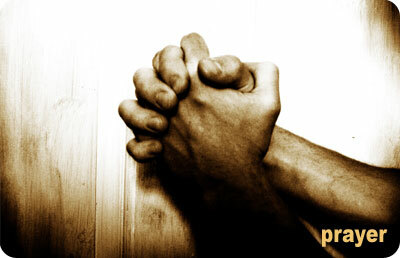 Go up for prayer and stand proxy for the situation that’s overtaken your family/friends. Turn down a plate, knowing God will honor your sacrifice! As a result of some of the things that have taken place in my own family, I decided to petition God to break any and all curses over my family, as well as over the lives of others. I’m excited about the changes that will take place—even though I don’t see them right now, since now faith is the substance of things hoped for and the evidence of things not seen (Hebrews 11:1). In addition, with God’s grace, I will also try to remember to speak life, rather than death (Proverbs 18:21), about the situations I’m believing God for. I sometimes wonder if we pray in faith, just to talk negatively about the situation with our family and friends. I’m sure that delays the blessing unnecessarily. Time for that to stop, too! As 2010 draws to a close, let us all take the time to pray in faith that generational curses will be and stay broken for our friends, family loved ones, and for everyone who is affected by the enemy’s tactics. When folks see how able our God is in the deliverance department, I do believe they will be asking “what must I do to be saved?” Amen? Amen! I’ll be waiting for the victory report! In closing, I want to thank you for blessing me with your presence on this blog. Your hits, comments and kind words have been a blessing to the readers and myself. May God bless you and those dearest to you with his BEST blessings in 2011 and always. This post was a wonderful way to wrap up 2010, auntie! It also gave me a Holy Ghost nudge too..
Bless the Lord for His nudge and taking us through 2010. I’m looking for BIG and WONDERFUL things this year!! Thanks for your faithfulness to the blog! God bless you!!! Thanks, T!!! God bless you!!! !